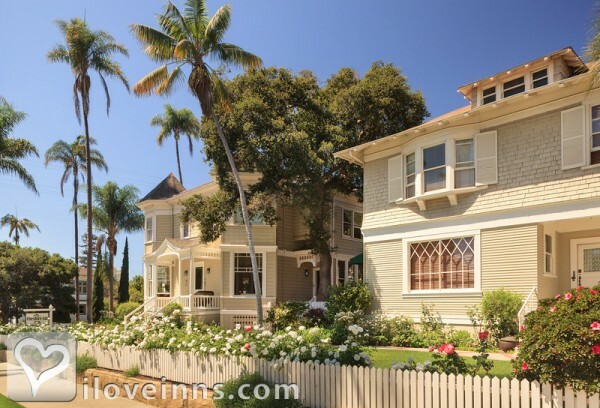 Santa Barbara bed and breakfast travel guide for romantic, historic and adventure b&b's. 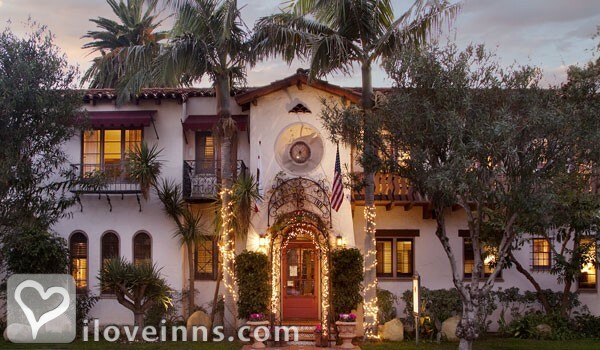 Browse through the iLoveInns.com database of Santa Barbara, California bed and breakfasts and country inns to find detailed listings that include room rates, special deals and area activities. You can click on the 'check rates and availability' button to contact the innkeeper. Santa Barbara just wouldn't be Santa Barbara without the beach and the ocean. Santa Barbara bed and breakfasts celebrate their temperate climate because it allows their guests to enjoy the outdoors most of the year. Santa Barbara's East Beach is the large stretch of sand along Chase Palm Park to the east of Stearns Wharf. It's often acclaimed in various magazines as one of the best beaches in the nation. Santa Barbara bed and breakfast guests enjoy their visits with picnics, volleyball, playground and a beach side grill at East Beach. 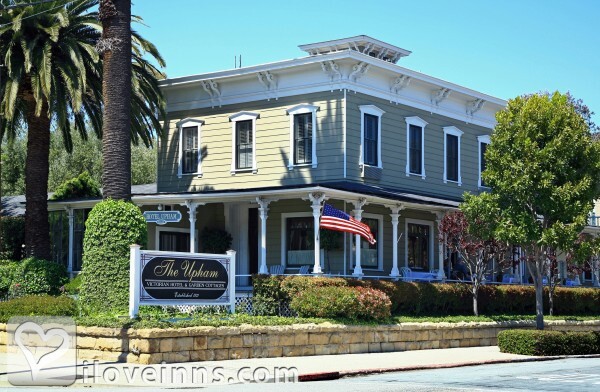 Stay at one of the many Santa Barbara bed and breakfasts with reasonable prices and excellent food. By Old Yacht Club Inn. Santa Barbara, the American Riviera, is one of the world's favorite destinations. A place of incomparable beauty on the Pacific Ocean, Santa Barbara is rich in history, food, wine, art, culture, entertainment, museums, gardens, architecture, music, theater, special events, sports, hiking, golfing, biking, surfing and...shopping! By Spanish Garden Inn. Live it up in Santa Barbara. Most of the activities here are free or have a nominal cost.-Hit famous East Beach for a sun, swim or Kayaking.-Santa Barbara Wine Country was the real-life movie set for the wine infused Oscar winning film Sideways. Sip and savor in our award winning production rooms and on the Urban Wine Trail.-Walk or bike along Cabrillo Boulevard and take a stroll onto Stearns Wharf.-Watch fishermen unloading their catch and dine on fresh seafood at the Santa Barbara Harbor.-Discover Santa Barbara's Spanish roots at El Presidio de Santa Barbara State Historic Park.-Take in 360 degree views of downtown from the Santa Barbara County Courthouse. By Old Yacht Club Inn. The American Riveria By Cheshire Cat Inn & Spa. Santa Barbara has many surprises to the bed and breakfast inn guest, not only a plethora of restaurants, fine Southern California beaches and activities but the zoo! The Santa Barbara zoo is small but inspiring and offers a pleasant 3 to 5 hour experience. Think about bringing a bed and breakfast muffin or buy a taco on premises to hold you over. 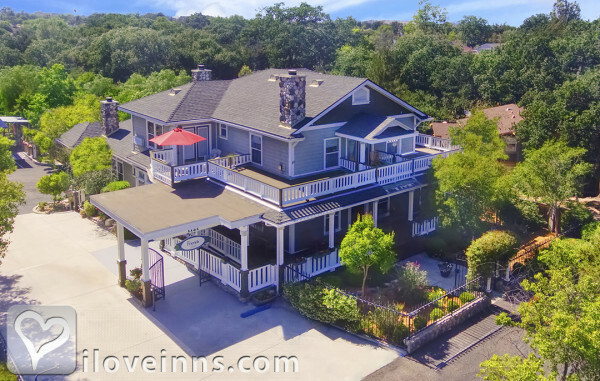 Santa Barbara Restaurants - Some inns offer Santa Barbara county wine from Santa Inez and other local vineyards, but most restaurants will also educate you on the area's best wines. Favorite restaurants include Opai, State & Fig and for fun and food - Brazil Arts Cafe. Most bed and breakfast innkeepers are extremely up to date about the current quality of cuisine because their inn guests go out every night and come back with authentic dining tales. Once back home, you're bound to think of all the restaurants you missed and will be planning your next getaway to Santa Barbara. 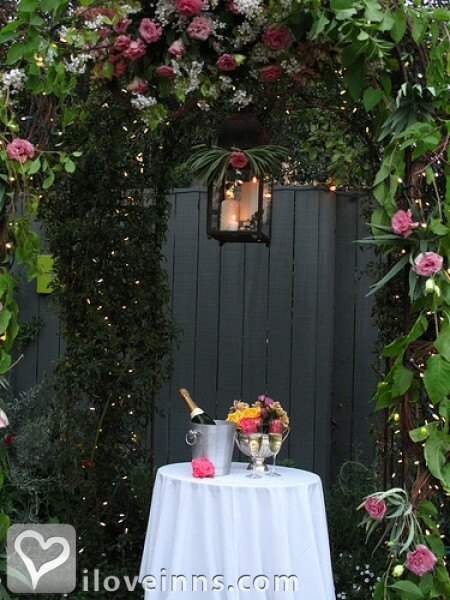 By Cheshire Cat Inn & Spa. Most of the time referred to as the American Riviera in reference to its breathtaking beaches, amazingly beautiful mountains, and its wonderful culture accentuated by the Santa Barbara bed and breakfast inns, Santa Barbara is definitely one of America's premier resort destinations with its world class accommodations and the fine dining that awaits its many visitors. Santa Barbara is just a two hour drive north of Los Angeles or a short trip from anywhere in the world via the Santa Barbara Airport. Visit then world famous Stearns' Wharf located at the Santa Barbara harbor, a great place to visit with the whole family. You can even plan a day trip for the family to the zoological gardens. And when you are in the city, you are just minutes away from the Santa Barbara wine country. In Santa Barbara, you can enjoy many fun activities including hiking, fine dining, whiling away the time in the beach or even a great night life. By A White Jasmine Inn.